The Renaissance Festival is coming up. It seems to creep up quicker and quicker every year. But you don’t mind, heck, who would? It is such a fun time. You get to wear fancy dresses, and drink mead, eat turkey legs, and watch jousting matches. We know we are excited for it this year! Last year you wore a pair of jeans, and a t-shirt featuring the White Tree of Gondor. While you didn’t get made fun of for your modern apparel, this year you want to go for the whole experience. You want to camp in ye ole fashioned tent, you want to hang out late at night listening to the songs sung by people who have had way too much mead, and you want to dress like everyone else. Really get into the festival spirit. Well, if that’s the case, you can’t wear those jeans or that Lord of the Rings shirt again (even though we think it is awesome). No, you are going to need something a little bit more…ole timey. This Fairy Queen Costume lets you get into the spirit of the Renaissance Festival without loosing any of your awesome fashion sense. 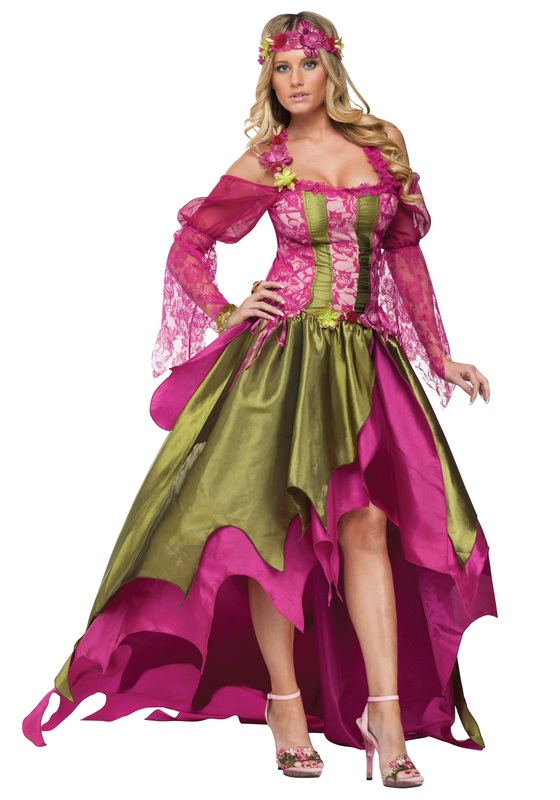 You won’t be confused with some little bar maid, no everyone will know you are a high born woman with the rich pink and earthy green coloring of this dress. All you have to do is click “Add to Cart” (we deliver waaaay faster than a horse and buggy), and count down the days to ye ole festival!